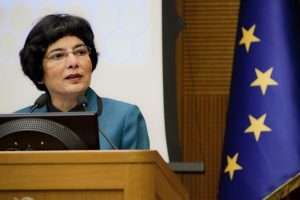 Dr Marlene Kanga AM is President of the World Federation of Engineering Organisations (WFEO), the international body for engineering institutions representing some 100 engineering institutions and approximately 30 million engineers around the world. She is the first chemical engineer to hold this position, specialising in process safety and risk engineering for the oil and gas industry in Australia and New Zealand. 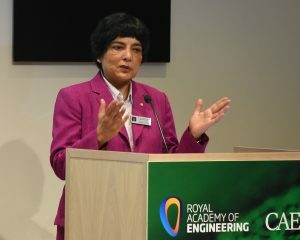 Dr Kanga completed her Masters Degree in Chemical Engineering at Imperial College London in 1977, prior to which she achieved a Bachelor of Technology in Chemical Engineering from the Indian Institute of Technology, Mumbai. She also holds a PhD in Business Administration from Macquarie University in Sydney. In October she will be attending the Global Engineering Congress, co-hosted by the WFEO and the Institution of Civil Engineers (ICE), where she has organised two sessions on diversity. It’s a subject she’s passionate about, so we caught up with her in advance of the conference to find out more. Q: You’ve previously presented to the Royal Academy of Engineering on the topic of diversity, why is diversity important in engineering? MK: Engineers are absolutely essential to solving so many of the world’s problems – environmental degradation, depletion of resources, impacts of climate change, lack of clean water and sanitation, and the need for one-sixth of the world to have access to affordable sources of energy. We need the best minds, male and female and from all backgrounds and ethnic groups, to address these problems. The barriers that women face in engineering are unacceptable and defy logic. This is one of the most important issues that the engineering profession faces. This is a leadership challenge and leaders, male and female, need to step up and set the example of how the profession can be both diverse and inclusive. Q: What does chemical engineering do well in terms of diversity, and which areas could be improved upon? MK: Chemical engineering tends to attract more women than other disciplines such as mechanical or electrical engineering simply because many of the career pathways lead to roles that have an impact. Women engineers often say that they chose engineering “to make a difference”. In my own case, making a difference in process safety engineering has been enormously satisfying. However, it’s not just “attraction” to engineering but “retention”. Engineering has a very leaky pipeline, with women leaving the profession early in their career. In Australia, for example, there are, on average, 17% female students in engineering university and just 7%, excluding students, in industry, as a result of these losses. Consequently, the average age of women engineers in Australia is approximately 35 and few women have reached senior levels. What is needed is a work environment that is inclusive and supportive, where there is understanding of the career trajectory for women, which may include the family formation years, and which therefore may be different compared to men. Women, in particular, need mentoring and support to return to work after a break and encouragement to take up leadership roles. Engineers solve far more difficult problems than diversity, it’s a matter of having the will to actually make the positive change that is needed so urgently. Q: Tell us about your current role, what does your Presidency involve? MK: The WFEO is the peak body for engineering. It is the voice of engineering at an international level and promotes the important role of engineers in key issues that the world is now facing: sustainable development, the growth of our cities, climate change and strategies for energy production to meet the needs to the growing population around the world. In this work, the WFEO is recognised by government, intergovernmental organisations, international NGOs and the public in general as a respected and reliable source of advice and guidance on strategies and policies that use engineering and technology for the benefit of human development and wellbeing and sustainable outcomes. As President, I am Chair of the Board and the General Assembly. I have a role to set and lead the strategic objectives of the organisation with the Board, and to ensure sound governance and administration for the organisation. In this role I also have the opportunity to engage with the other international organisations such as the United Nations, The United Nations Educational, Scientific and Cultural Organization (UNESCO) and the World Bank as well as other peak bodies in engineering and science, for example, the International Federation of Engineering Education Societies which are the engineering academics of the world, the International Science Council, which represents the scientists of the world and the International Network for Women Engineers and Scientists which represents women in STEM internationally. The engagement with WFEO’s international partners enables us to work together to achieve our strategic objectives, in particular, to address the global shortage of engineers required by industry. 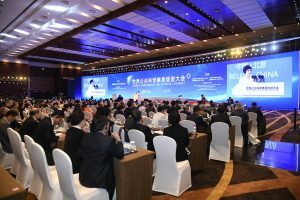 We are working together to ensure that engineering education standards meet current needs and that there is appropriate support for the national engineering education systems, mainly in Asia and Africa, to ensure that strong institutions are developed so that these standards are achieved and maintained. Q: What has been the highlight of your Presidency so far? MK: During my term as President of WFEO, a key objective is to advance the UN Sustainable Development goals. There are only 12 years to go to 2030 and there is a great deal to be done. In the next two years of my term, my goal as a leader is to set the vision and compass for the organisation and to lay the foundations for the work that is needed, especially to address the shortage of engineers around the world to advance the UN Sustainable Development Goals. I hope that my successors will continue the vision in the years to come. The world needs this kind of project and the impact that it can have will be enormous. Q: When and how did your interest in chemical engineering begin? MK: I loved mathematics and science, especially chemistry and I liked to know how things worked. I am a practical person and studying pure science seemed, at the time, to lead to a research career in a laboratory. I couldn’t see myself there. However, no one told me that girls don’t do engineering! It was a shock when I first arrived at University (at the Indian Institution of Technology, Bombay (Mumbai)) to discover that there were only 20 female engineering students and 2000 male students. Q: What advice would you give to chemical engineers just starting out? MK: I would give the advice that was given to me by my manager in my first job in London, who happened to be a woman and an expert in furnace design. She encouraged me to get to know everything, refuse no task no matter how small and never lose my passion or interest in the job.